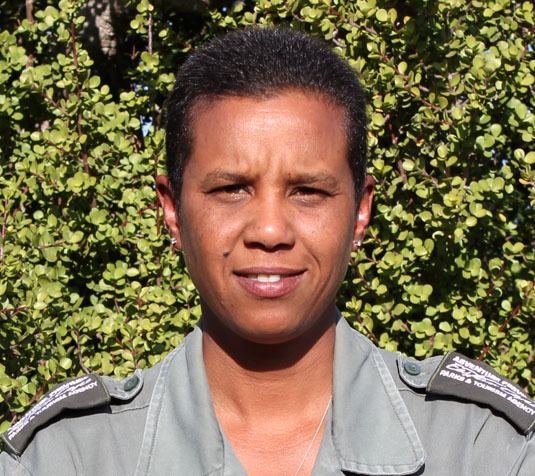 Cathy started her career over 17 years ago at the age of 22 with South African National Parks as a conservation student, assisting with the capture of black rhino. This became a turning point in her life as she developed a deep, lifelong passion for the species (Cathy calls it a “slight obsession”), which has shaped her career in conservation. 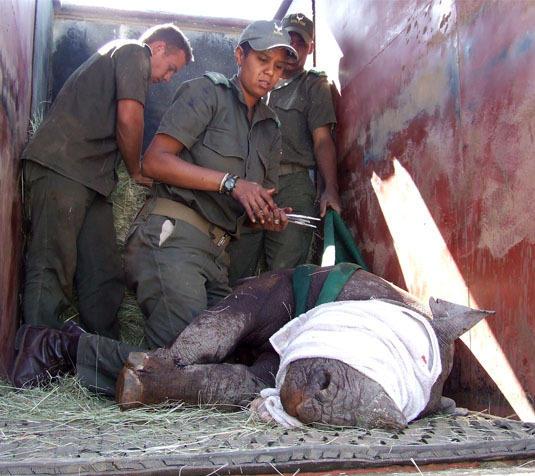 Cathy’s work has led directly to the establishment of new black rhino populations and in South Africa, the country with the highest population of rhino – yet facing the highest rate of poaching – Cathy offers the potential to provide vital protection for this species far into the future. Behind her success is her approach to life: “the harder the battle the sweeter the victory”. 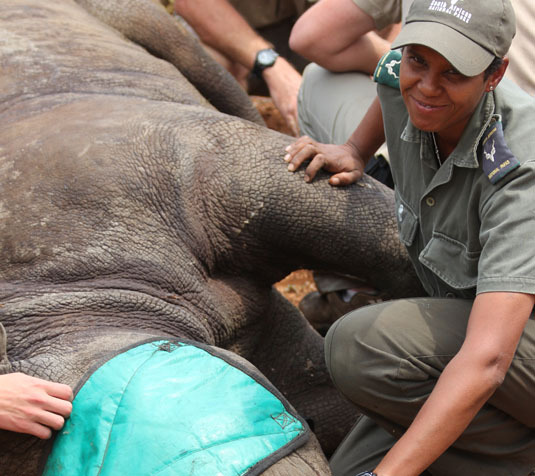 Cathy Dreyer is a clear example of the commitment and future of young African leadership in Conservation in Africa: “I am driven by the need to feel that I am making a difference and contributing meaningfully to conservation. Inspired by Cathy’s story? Read another extraordinary story. Let Cathy and others like her know that you support them #ForAllTheyDo.